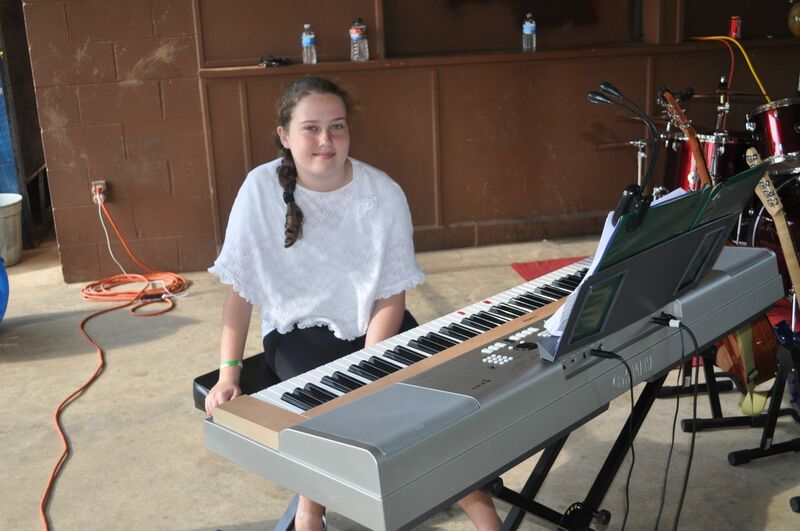 About a year ago, I started playing the piano in a band with some friends from church. There are seven people in the band—a drummer, three guitar players, a bass player, me, and a singer. Last night was our first performance. 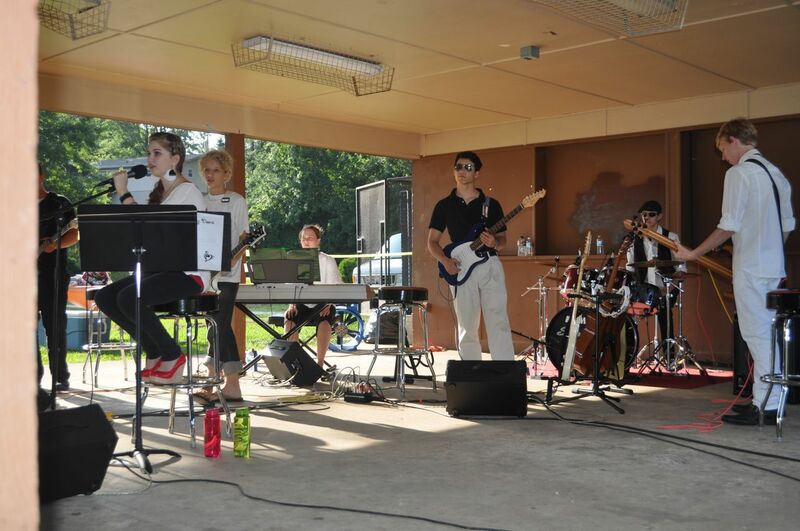 We played at a youth rally at the park in town. 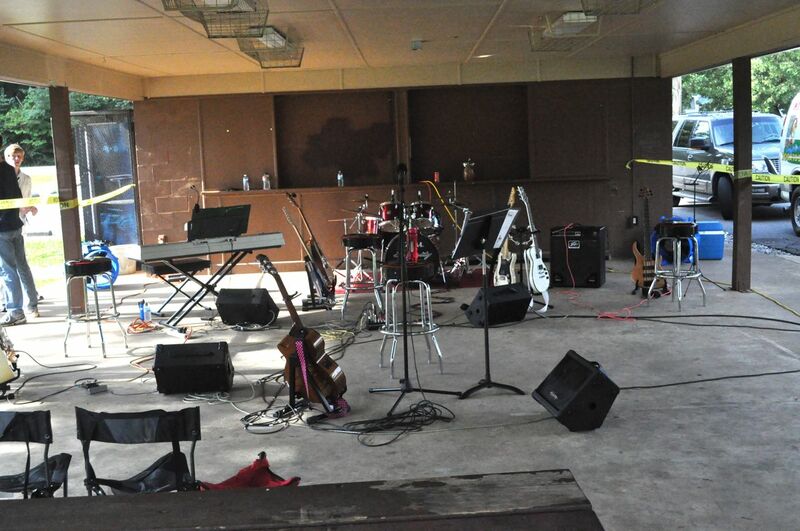 We arrived at the park around 3:00 to set up, practice, tune, and tweak the sound. 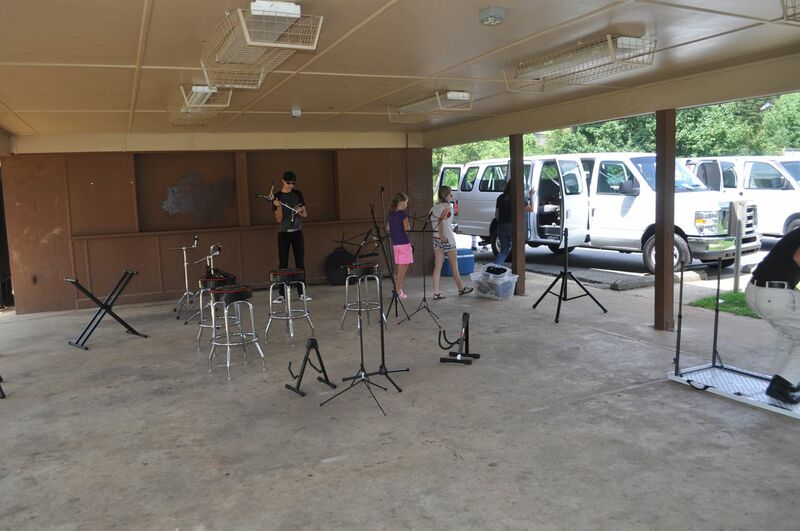 We usually practice down in a basement, so the sound is much different when we play outside. The youth rally started at 6:00. We played two songs, then someone came up and spoke, then we played two more songs, then someone else came up and spoke, and then we finished with two more songs. So altogether, we had six songs. I thought it was a great experience to practice playing our instruments and playing together as a band. I was a little nervous at first, but I had a lot of fun! After the rally, we went to The Sweet Tooth for ice cream. This entry was posted in Band, Piano. Bookmark the permalink. You will have to give us a concert when you are here next time! Way to go, Lauren! Thanks for sharing with us! Lauren, what a great experience! I’m so proud of you! Wish I could hear your band play. There’ll have to be a concert next time we come see you. Love you a lot.